Autumn not only brings more frizz-free days, but a brand new palette of colors as well! If you've been getting into the fall spirit and have the urge to usher in cooler weather with a change to your hair color, we have options for you. Whether you want a major change or a small tweak, all 10 colors are such fabulous choices for the fall that you’ll have a hard time picking which to ask your stylist for. Soft blues and greys with pops of deep emerald and dusty rose are Pantone’s chosen colors for fall 2016, and we happen to agree with them. If you think they look fantastic in clothing, just wait until you see what they can do for your hair. It is important to note, that to achieve truly vibrant colors like many of the ones on this list, you will have to lighten your hair if you have naturally dark hair. 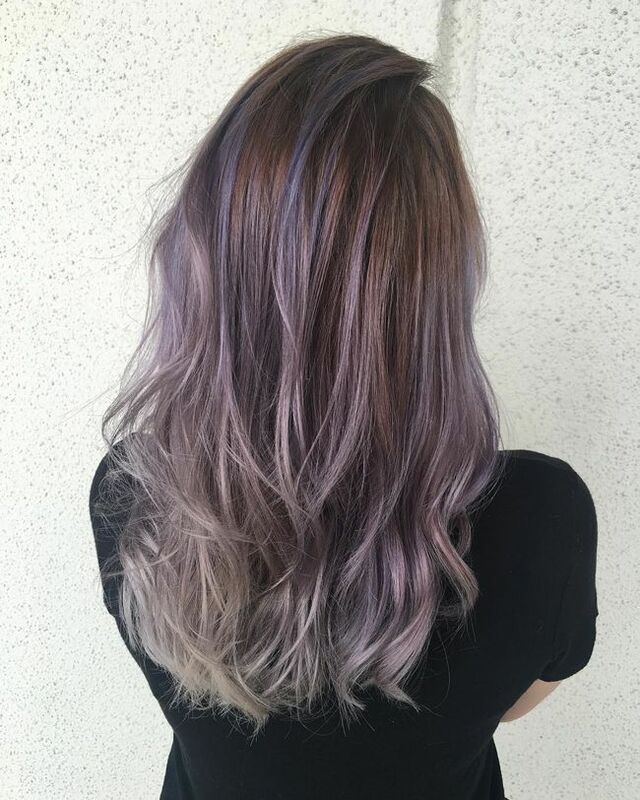 You can't achieve a color like lavender or emerald by dying over dark hair. Lightening the hair does cause damage, so you will likely notice a change in texture as well as the way your hair feels and behaves. 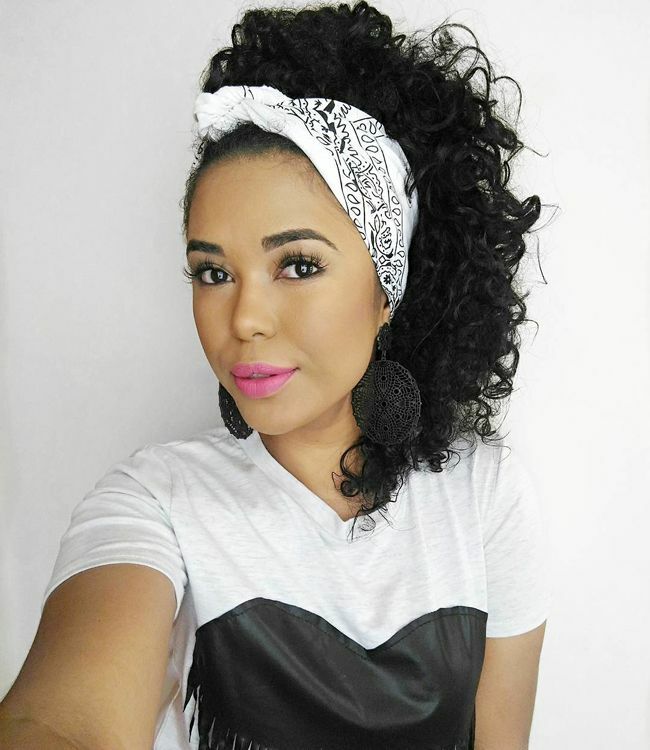 This is not to say that you can't color your hair, but just that you will likely need to change your regimen and take action to protect your hair health through this process. As the weather gets colder, your friends will look to you as a beacon of warmth. It is actually difficult to look at this hair color without feeling like sunshine is beaming down on you. 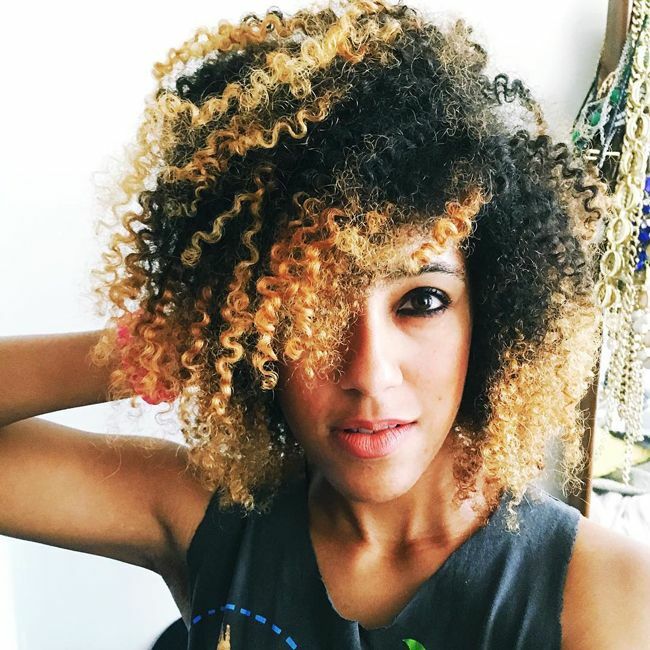 @frogirlginny’s gorgeous hair makes us smile and @beautystylealessia’s artwork is golden. If you’ve always wanted to be a fiery redhead, this is your green light! This scarlet color has a bright pop and only makes me think of one thing: passion. The best part is, it is closer to a natural color in case you’re a little more shy about coloring. 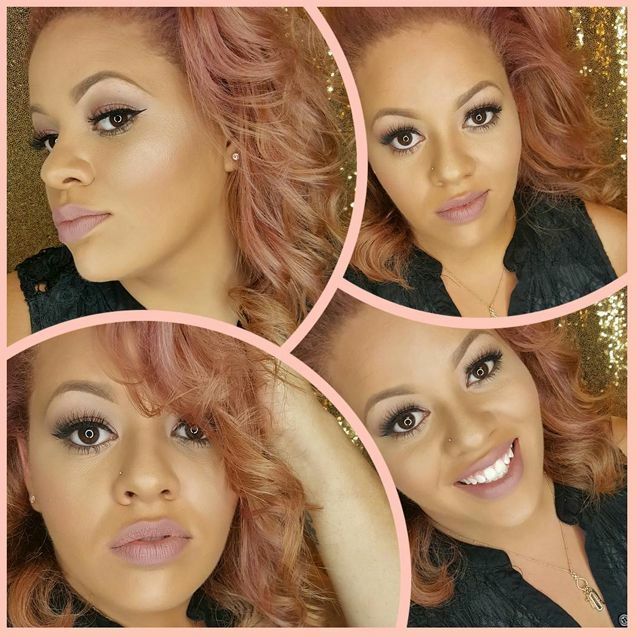 We love @kaylamadonna’s scarlet color and @killadoesthat’s bright hue. You don’t have to buy a 2 Carat ring for a pop of emerald. This jewel-tone is to die for this season. Whether you decide on emerald tips or highlights here and there, you win major luxury points. 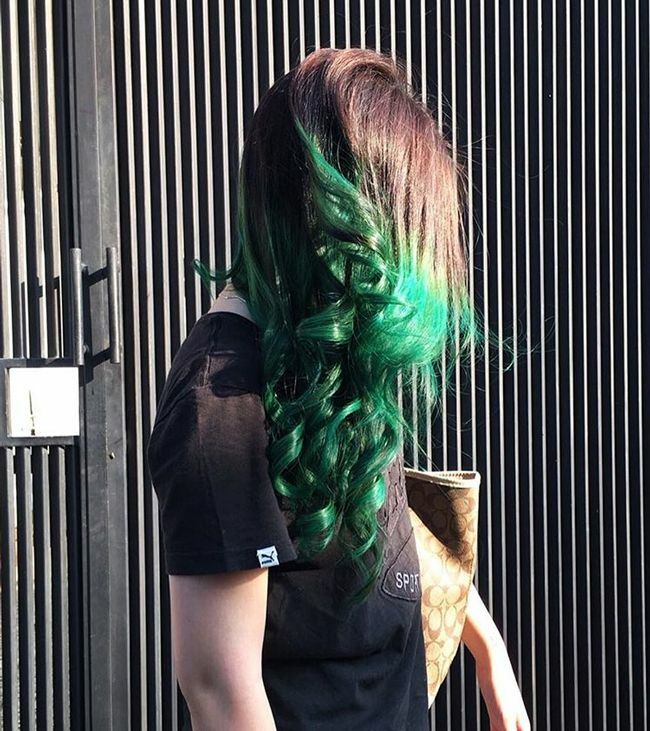 @nonaoyenis sporting this beautiful dip-dye and@hairbydonettahas done it again with this rich emerald crown. Purple, mauve, lilac, violet – whichever shade you love, what better time to take the leap than this fall? This is best done when mixing with a soft grey hue and will leave you looking like royalty. @hairbymeryn did a fabulous job mixing this color in. Some are blessed by this beautiful, striking hair. Others, not so much. If you aren’t, why not try it out? @ke.nne.dy’s hair will surely make you run to the salon ASAP and I love how@nanda_blog’shair gorgeously cascades down her shoulders. 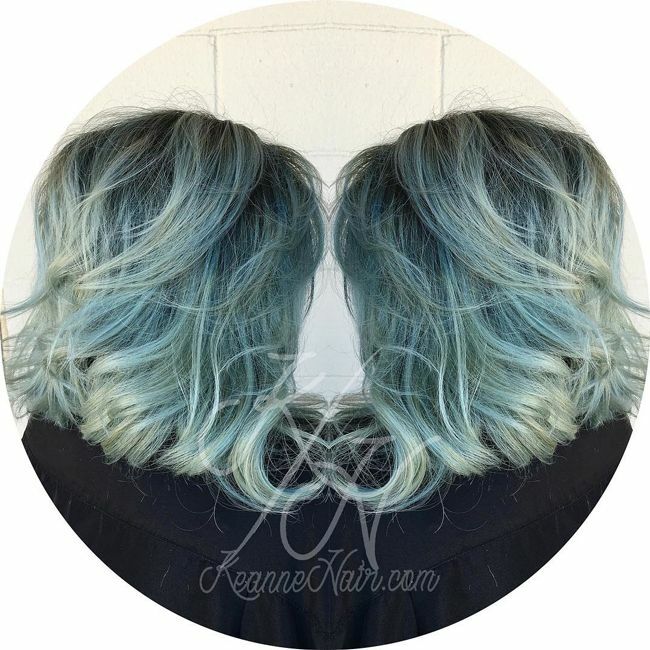 This beautiful airy blue shade allows you to go all out, or mix with blonde hues and dark roots. You may even forget that you’re not an ice princess. 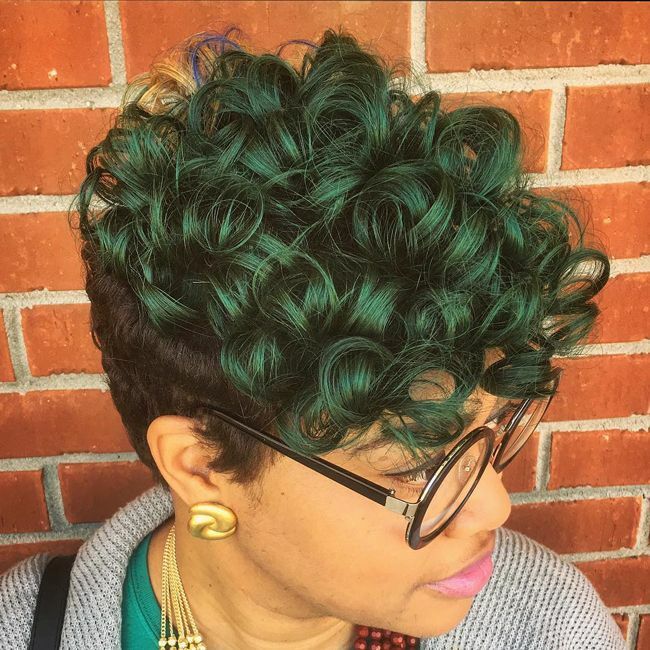 We love@Keannehair’stake on this gorgeous concept. Why not take advantage of the fact that dark roots are in style right now? Save some money by letting your beachy summer hair grow out, or splurge a little to achieve this great look from scratch. After all, we’re all about looking effortless, right? I absolutely love @lauriebot’s look. 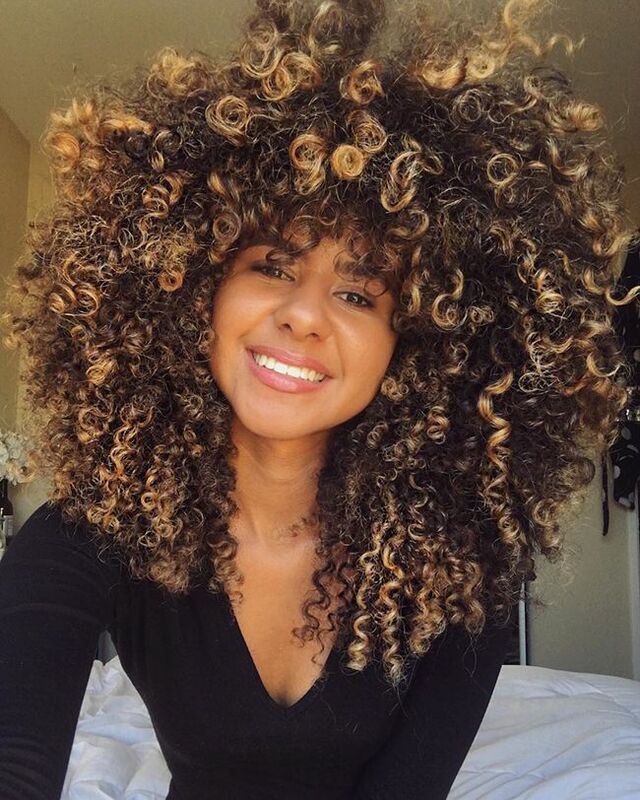 As a commenter said, “I’m diggin’ that hair,” and so are we! 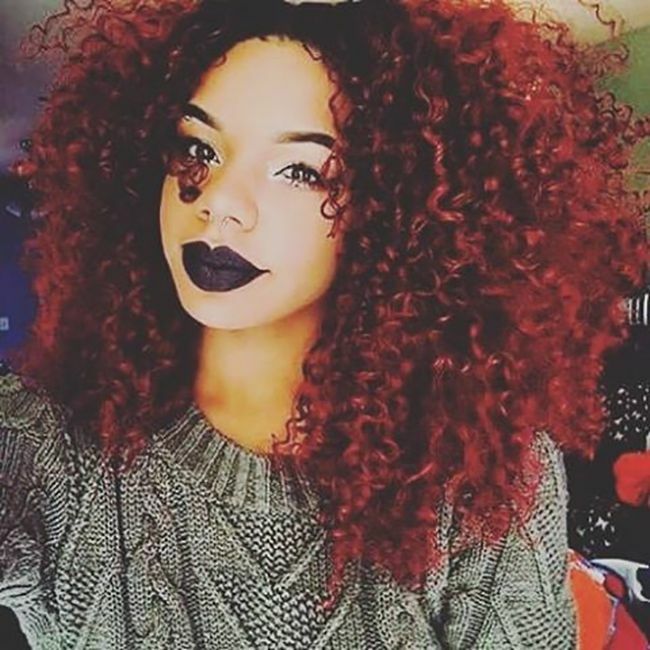 This hair color looks like a cross between Cherry Coke and chocolate fudge cake. The fabulous thing about this rich color is that you can make it as cherry or as chocolate as you’d like. 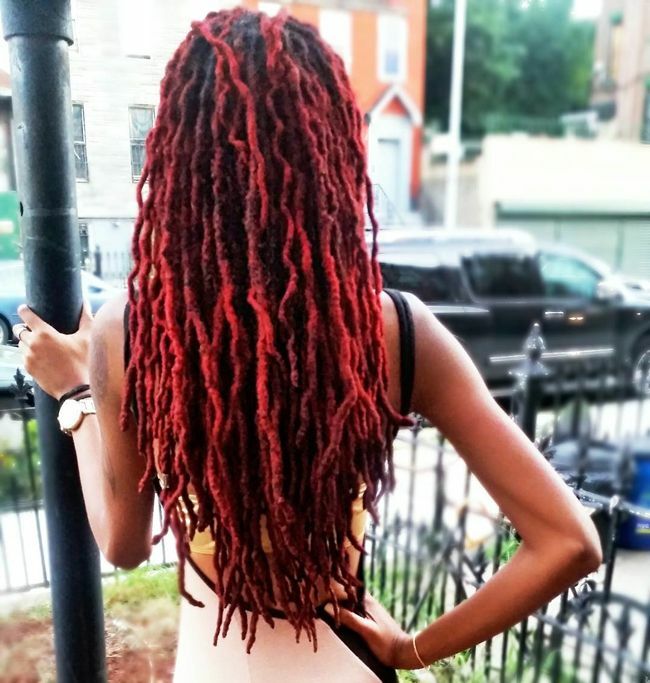 @sensualsierra’s cherry bombre look proves our point. Rose gold has been EVERYWHERE recently. For this upcoming season, lose the brightness of gold and bring on a richer hue of dust. 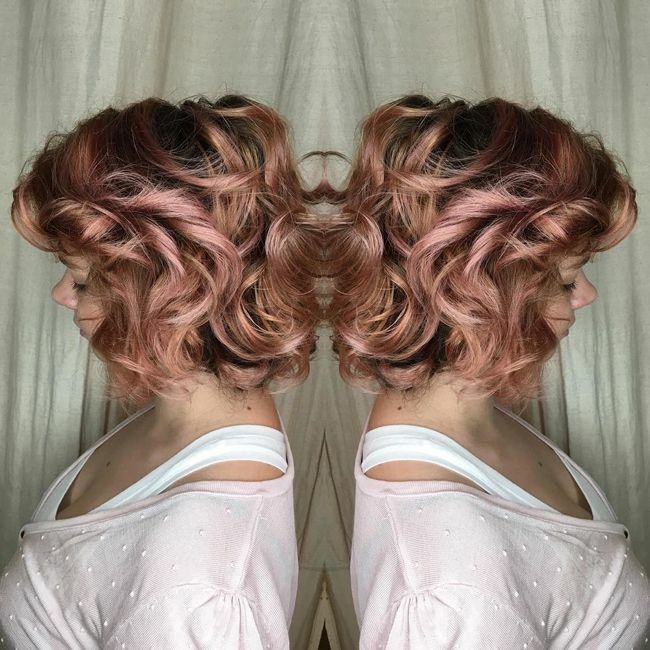 @makeme_upkatelyn and @gabriellearmanini's takes on dusty rose are flawless. 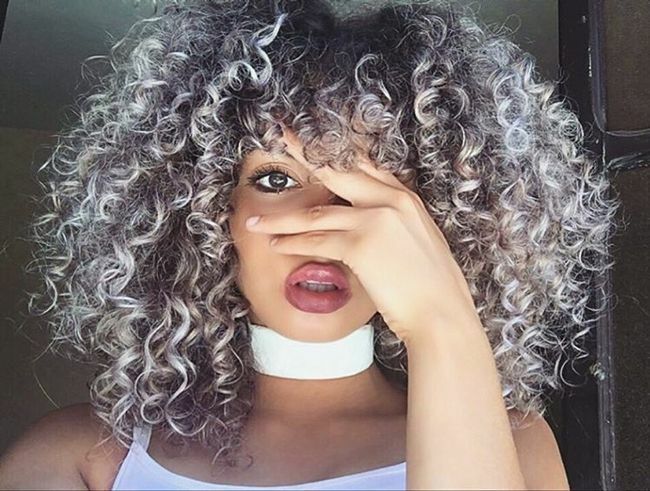 This icy silver color will turn every head wherever you go. Keep it fully silver or use it as a backdrop for pops of bright colors. 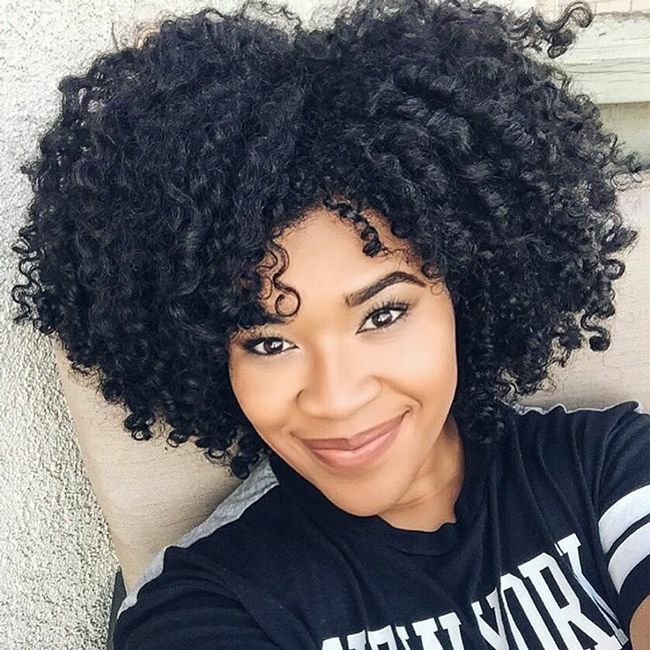 This is not your grandma’s hair, ladies… @cpikillah’s hair is GOALS. It's important to work with an experienced colorist when attempting many of these colors. 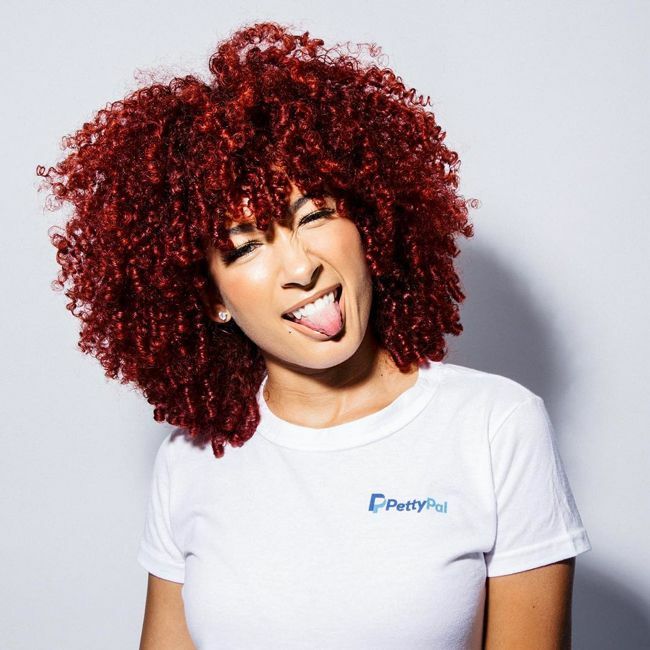 If you have yet to find a curly hair stylist you love, check out our Salon Finder to find a stylist in your area and read reviews from other curlies.